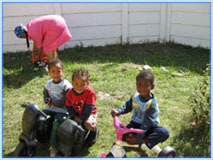 Siyakhula Trust is a specialist NPO that focuses on capacity building and organisational development. 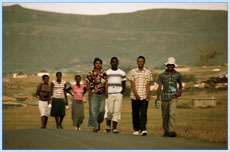 As a NPO and PBO we understand the challenges of community development and over the past 29 years we have assisted a vast number of civil society organisations become sustainable. Whether we are dealing with CBOs, NGOs, Community Development Forums, School Governing Bodies, Youth Associations, Community Property Associations or Cooperatives or Income-generating Projects, we are able to design the correct intervention to meet their needs. We also walk with the projects over a period of years in order to ensure that they receive constructive coaching and mentoring. This process ensures that skills are transferred and that communities become empowered. 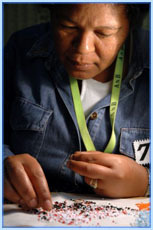 Siyakhula Trust is an accredited training provider with the LGSETA. The Trust also holds programme accreditation with the ETDP SETA. The Trust offers a comprehensive range of training programmes for non-profit organisations. Many of these programmes are aligned to unit standards but due to the nature of the development sector, we also have programmes that have been designed specifically to address the needs of NPOs and other community organisations. Unfortunately, no relevant unit standards have been developed to address these many of these needs; however, material and assessment assignments are designed to meet the same quality standards as exist in our aligned and accredited training programmes. 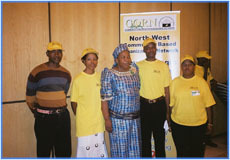 The programmes are practical in nature and are aimed at developing NPO leadership and organisational sustainability. NB. These programmes can be tailor made for specific interest groups, such as disability, preschool education, HIV AIDS, domestic violence etc. 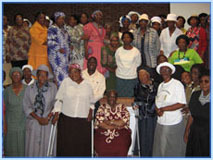 Siyakhula Trust works with NPOs to assist them to build institutional sustainability. We offer a range of business related programmes for co-operatives and income-generating project. These are based on unit standards from the New Venture Creation National Certificates. 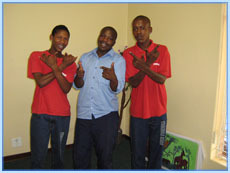 Siyakhula Trust offers mentoring and coaching support to NPOs. By the time our contract is complete with the organisation they are able to conduct their affairs without the need of external support.